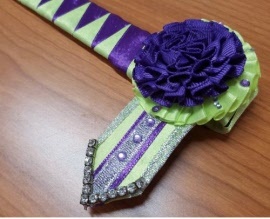 Fancy rosette show browband with bling! Bright fluro green and purple with false purple and white gems. Size: 15.5 inch - LAST ONE!